I recently discovered these, and love them! 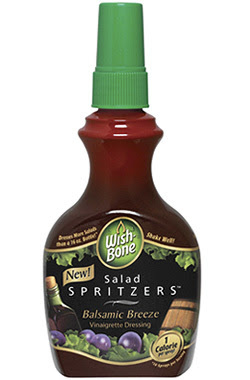 They are Wishbone Salad Spritzers, and are awesome! They are only 1 calorie per spritz, or 10 for 10. Nice! I had a salad today for a "free" snack, and it was only about 20 calories. I love "free" food! And they're pretty tasty. I have 3 different flavors to choose from. A definite "must" for those on a diet! 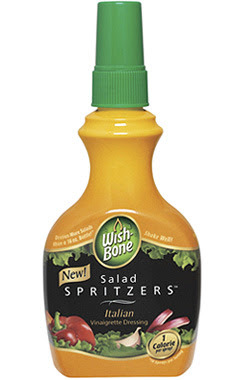 Is it like salad dressing? I saw a commercial for this stuff the other day. 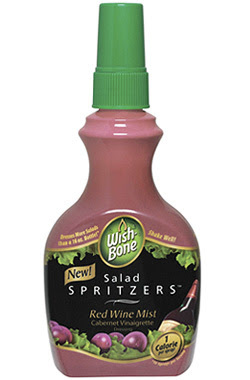 Yah, it's like salad dressing in a squirt bottle. And the squirts are huge. It's great stuff!